James Patterson is the 'Salman Khan' of Crime fiction.His books have sold millions of copies worldwide and he is undoubtedly one of the most successful authors of the present generation.So naturally,ever since the news about the collaboration between the world's best selling author and one of India's most read writer came out,millons of their fans(including me) have been waiting badly for the book to hit the market. 'Private India' got released In India last month,generated mixed reviews among the critics but quite expectedly climbed the best-seller charts in no time.Though this is my first book in the 'Private' series(which is already 8 books old),I'm actually happy that I have got introduced to this internationally best selling series through it's eighth instalment which is set in my home country,i.e India. Coming to the plot (which is too generic,btw),a series of bizarre murders(with victims ranging from the Chief Justice of Mumbai High Court to a page 3 Journo) is rocking the Mumbai City.As the local Police is too 'lazy' to investigate the murders(! 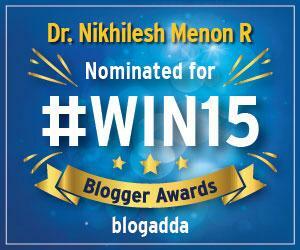 ),the job is entrusted to the Indian wing of the World's largest Private detective agency of which the ex-Policeman,Santhosh Wagh is the head.What follows is a rollercoaster ride(supposedly) through the length and breadth of Mumbai,culminating in a mediocre climax.During this journey,we are also introduced to atleast a dozen characters some of which are a local Don,a Godman,and a shrewd Politician(it's a different story that some of these characters serve no real purpose in the narrative and merely act as 'distractions'!). Those of you who have read Sanghi's and Patterson's works earlier, will know that neither Ashwin nor JP believes in wasting time/pages trying to establish the principal characters before entering into the central plot. 'Private India' is no different.By the time the book reaches it's 45 th page,the reader has not only got acquainted with the protagonist,his aides(Nisha,Hari et al) and the detective agency which they run, but also knows that two high profile murders have taken place in the heart of Mumbai with both the victims being beautiful,highly successful females. The book is definitely a fast read.The writing is decent with enough detailing (sometimes even excessive) and frequent plot twists.The book design and the font size is also done in such a way that it will appeal to the masses.Sanghi has made sure that the book has a 'heavy desi flavour' to it by incorporating the essence of India in every way possible. On the downside,the book is a celebration of cliches.From the alcoholic protagonist with a troubled past to the stereotyping of Indian culture,almost all the cliches' are in place.The innumerable sub-plots(the 'Santhosh Wagh-Police Chief Roopesh' track ,the ISI-Indian Mujahideen angle,to name a few) and the half-hearted attempt at historical fiction (the portion involving the ancient thuggie cult and so on)which falls flat also takes away some of the sheen of this work.At close to 480+ pages,Private India is definitely way too long and there are atleast half a dozen characters who have no relevance to the main plot.The authors seem to have included them just to create confusion among the readers about the identity of the killer.They have also tried to mix a little bit of everything (Bollywood,Politics,Terrorism,Corruption,Religion,Mafia) into their 'Indian adventure' and ends up doing justice to none.The climax is a big let down and one gets the feeling that JP and Sanghi wanted to wrap up things somehow.Inspite of all these short comings,'Private India' is an okay one time read and if you keep your expectations really low,there are chances of you actually liking this book. 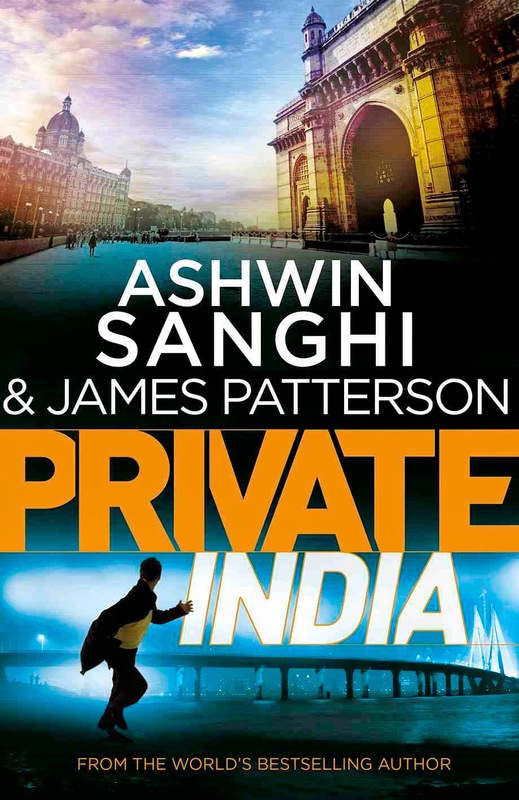 Verdict-On the whole,'Private India' by James Patterson and Ashwin Sanghi is a strictly average work.I'm giving it a 2.6 out of 5.